Last year one family in Alpena received the shock of a lifetime when their beloved spruce tree was chosen to shine at the state capital for Christmas, now they are being surprised once more. 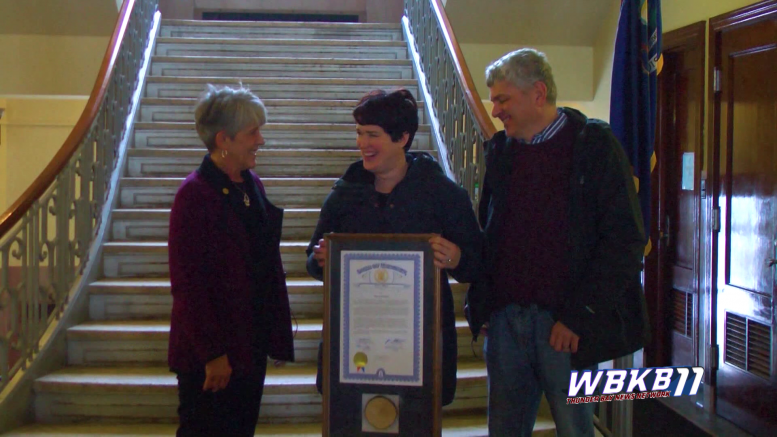 State Representative, Sue Allor presented the Katto family with a plaque on Monday at the Alpena County Courthouse. The plaque featured a piece of the Katto’s spruce tree along with a signed certificate from the state. Shocked again, the Katto’s said they planned to place the plaque inside of their office along with other memorabilia showcasing their 62–foot tree.